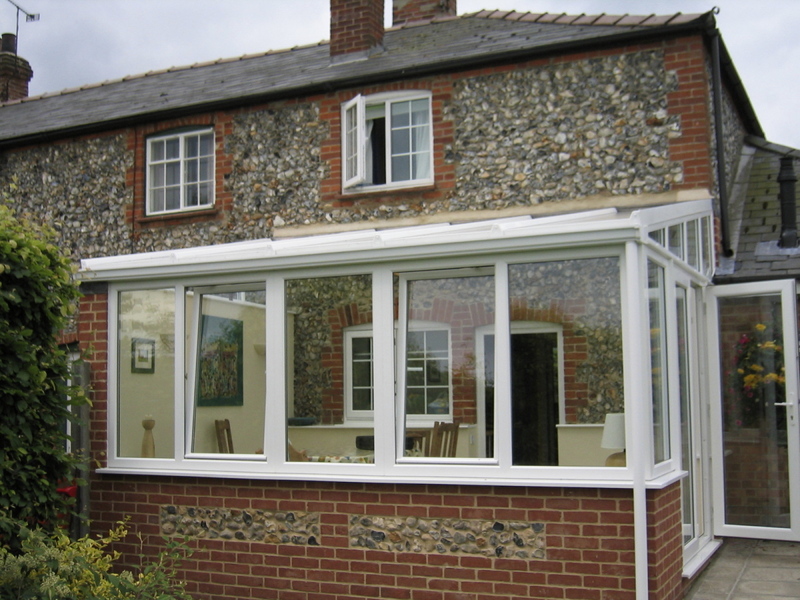 Since 1987 we’ve been designing and building conservatories in Bury St Edmunds, Stowmarket and the surrounding areas. 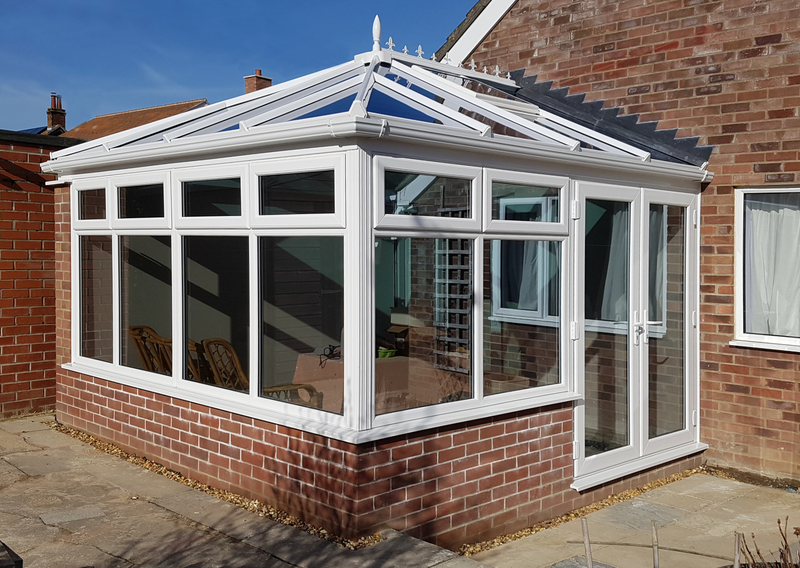 With so many years experience both designing and building conservatories, we can help you add a practical living space to your home. You can rely upon us to guide you through the whole process from start to finish. 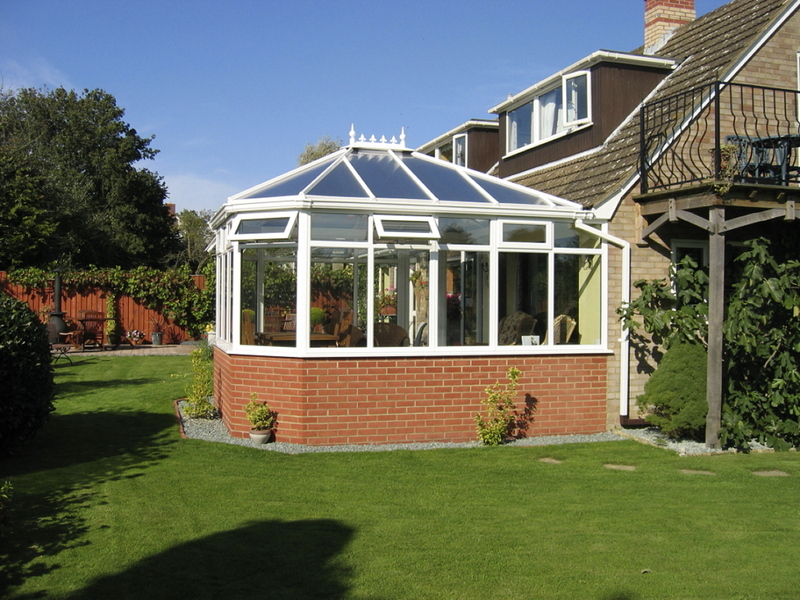 Over the past 30 years conservatory design and construction has moved along at a very fast pace. 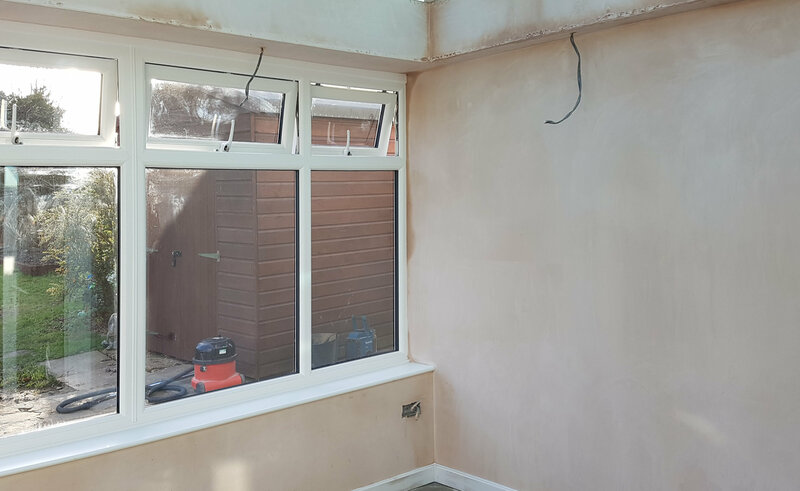 By combining the latest technologies in materials with modern building practices we can create a room you can use all year round. 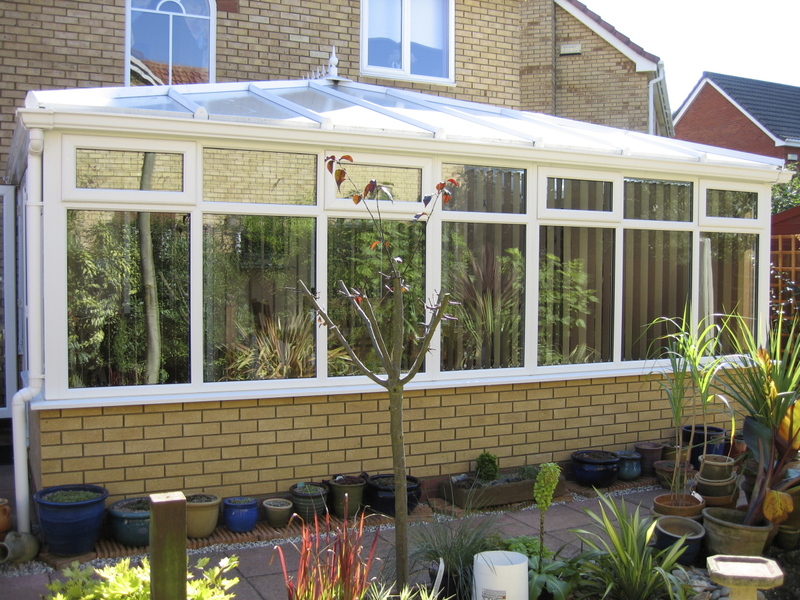 How often have you heard someone complain that their conservatory is too hot in the summer and cold in the winter? It doesn’t have to be this way. 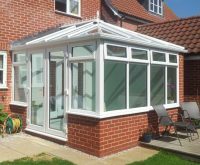 When we design a conservatory we consider all aspects of the build and then suggest the best options for each individual project. We provide a full in house design and planning service. 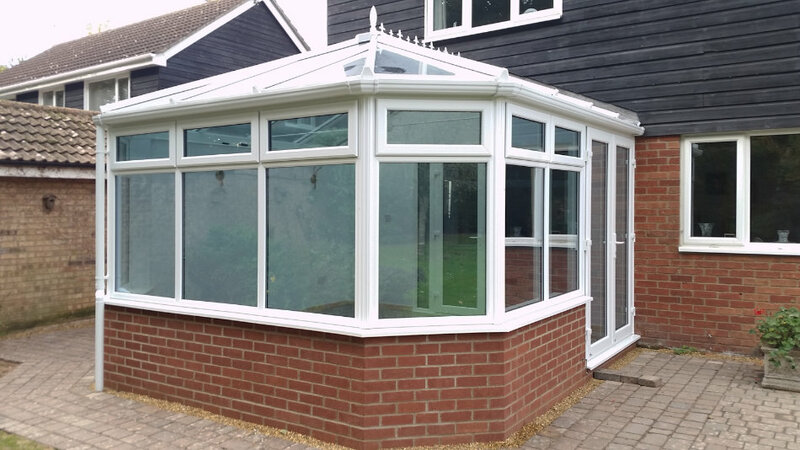 Using the latest CAD software we are able to create a realistic picture of your new conservatory and then superimpose it onto a picture of your property, that way you can see exactly how the finished structure will appear before you commit to anything. 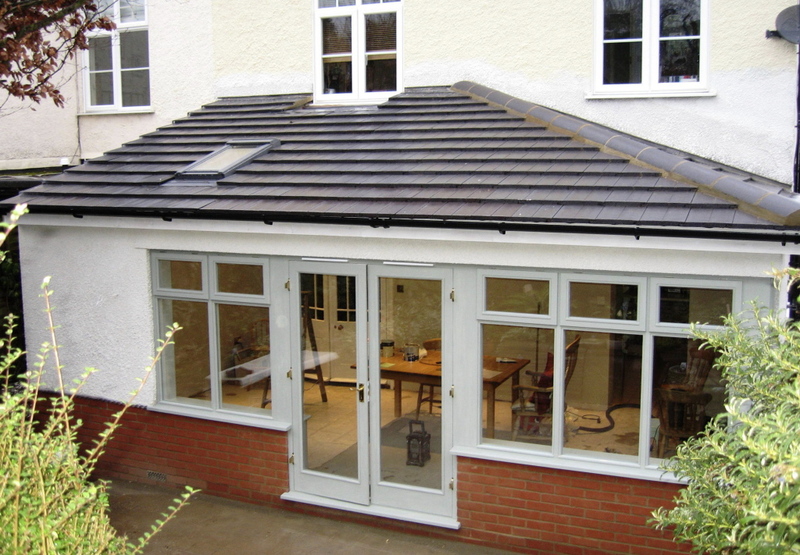 So call us to arrange a free consultation and no obligation quotation. 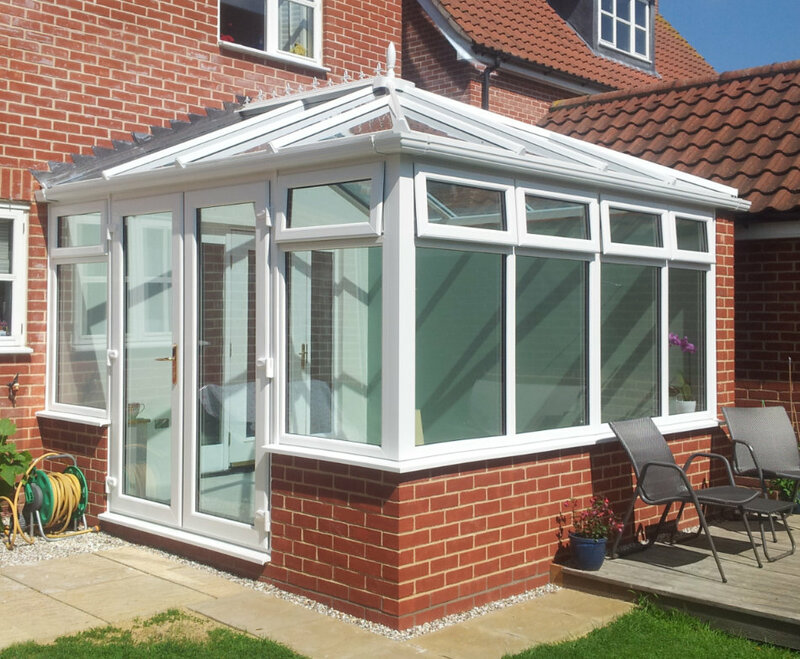 Double hipped conservatory with Global summer room internal pelmet system. Above you can see a slide show detailing a just a few examples of our work and at the bottom of this page a more comprehensive gallery. 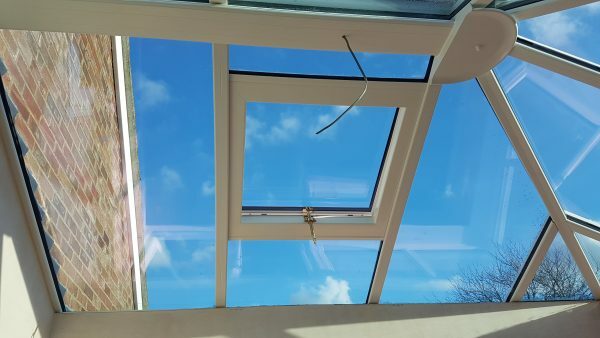 If you’d like to see more examples of our work and have us design a conservatory just for you please email or call us to arrange an appointment. 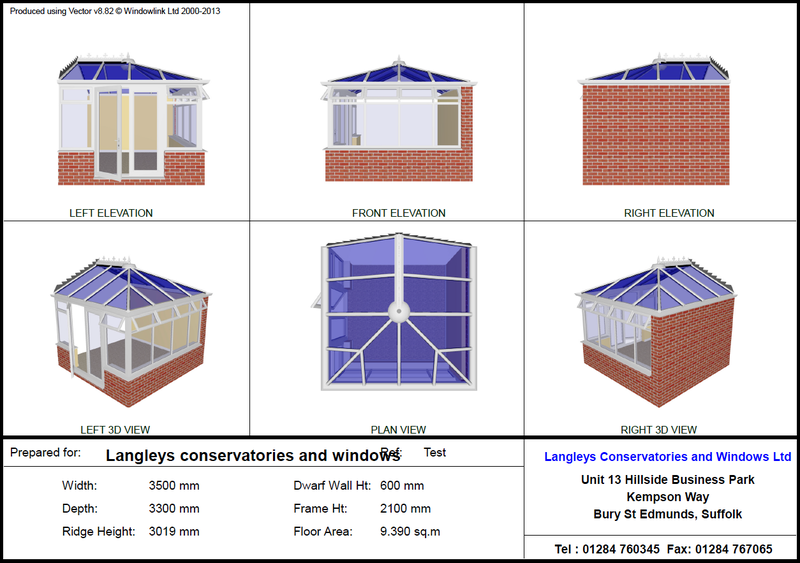 We hope you can see from these images that we at Langley’s Conservatories and Windows take great pride in our work. 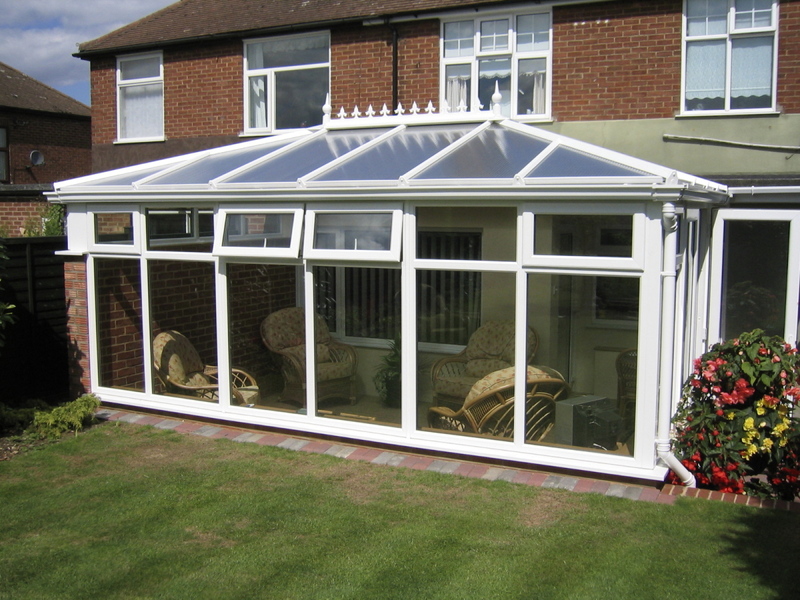 With over 30 years experience we feel confident in being able to tailor a conservatory to suit your needs. 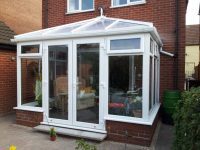 Below we have listed some of the key areas we believe you should consider when designing a conservatory. 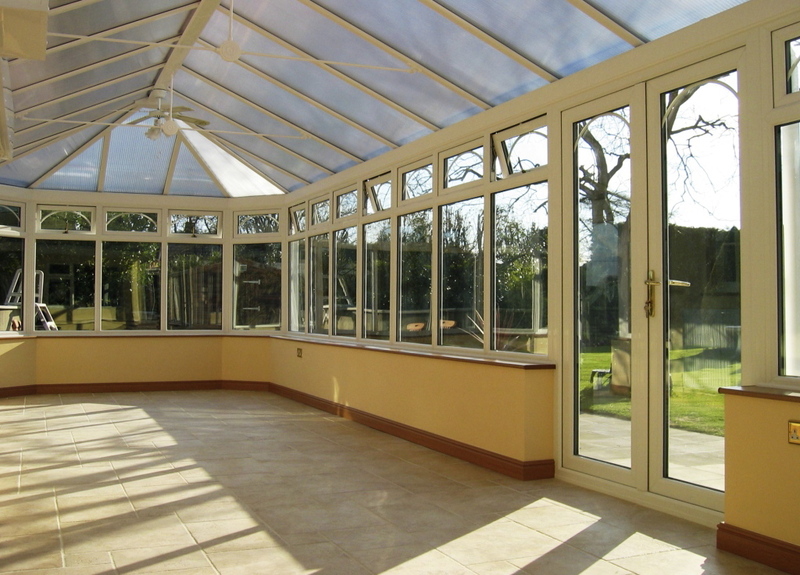 It is sometimes difficult to picture your ideal conservatory. 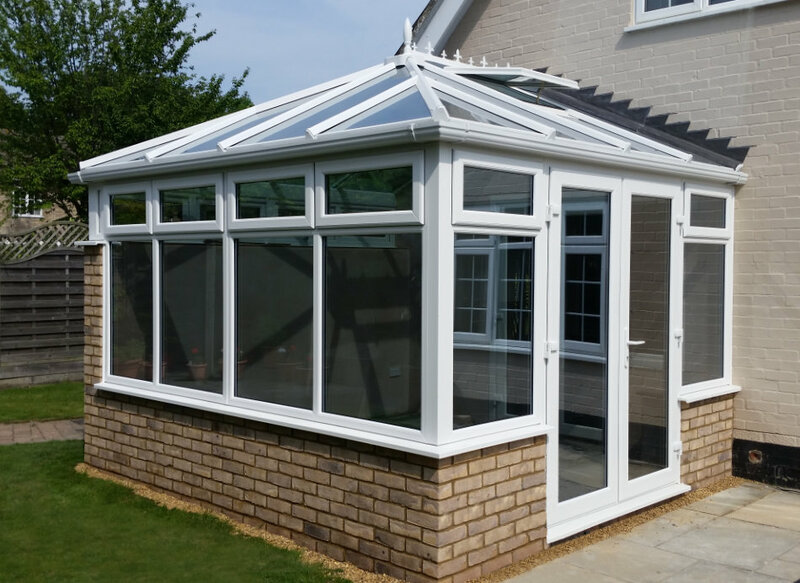 Let Langleys Conservatories and Windows help design a conservatory specifically to suit your needs, using our market-leading software. When we make our first visit to your property we will take measurements and photographs in order to prepare our design or designs. 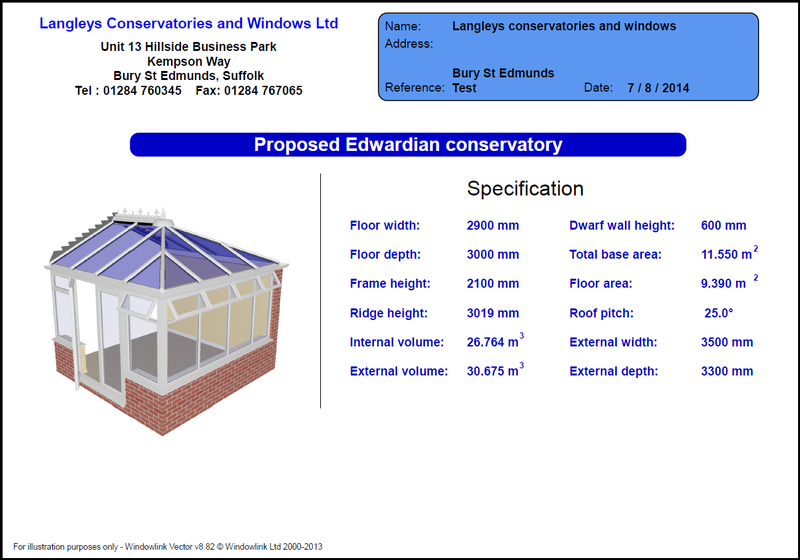 With our software, we can then produce a number of reports showing your conservatory inside and out from a number of different angles. We provide all of our customers with detailed images such as these as part of our free no-obligation quotation. 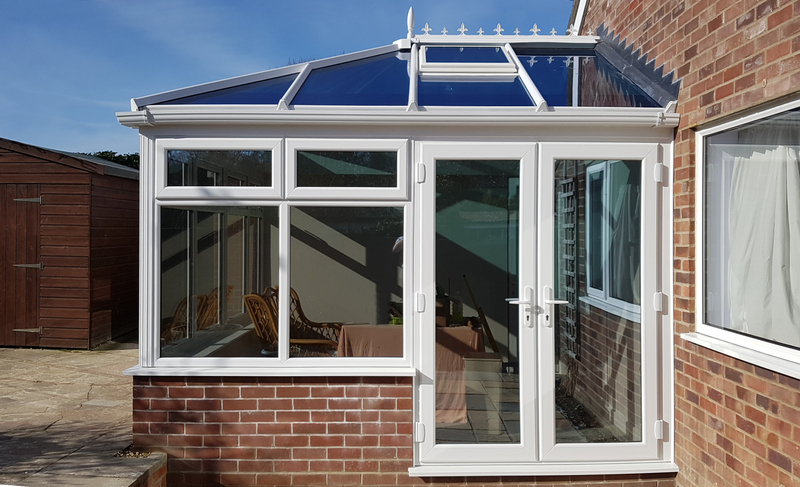 When designing your conservatory there are a number of considerations we believe you should think about in order to end up with a space that meets your needs. Opposite we have listed some of the more important things to take into account during the design process. 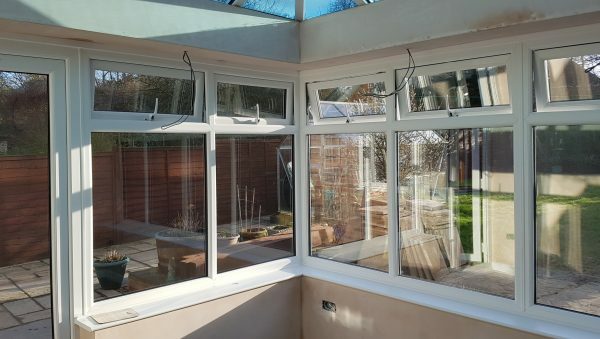 At Langleys we think it is worth taking the time to get this right, that way we can build you a room you can use all year round. Let us guide you through the process, we will give as much help as we can, having done it many many times before. Where will it be situated in relation to the direction of the Sun? If it is south facing, for example, you will need to make provision for controlling the heat build up. Think about what will you be using the space for. Making sure to consider just how much room you will need. I have never heard anyone say they have too much room! tables, be sure to allow enough room! You would be surprised just how much space they take up! measure an existing room in your house to compare it with. 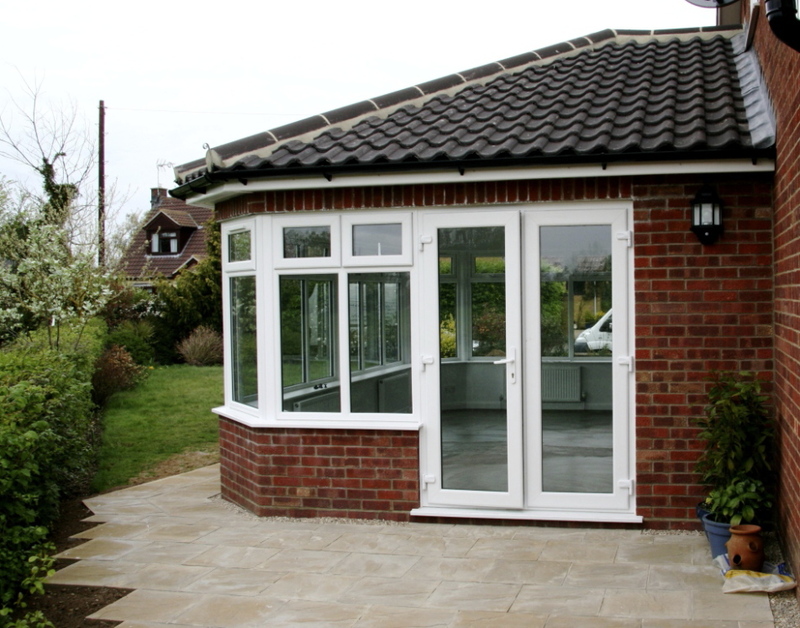 Remember that the external dimensions of the conservatory are very different to the internal floor area! will have an internal floor width of 3.4 m wide! Do you want some high-level wall space? 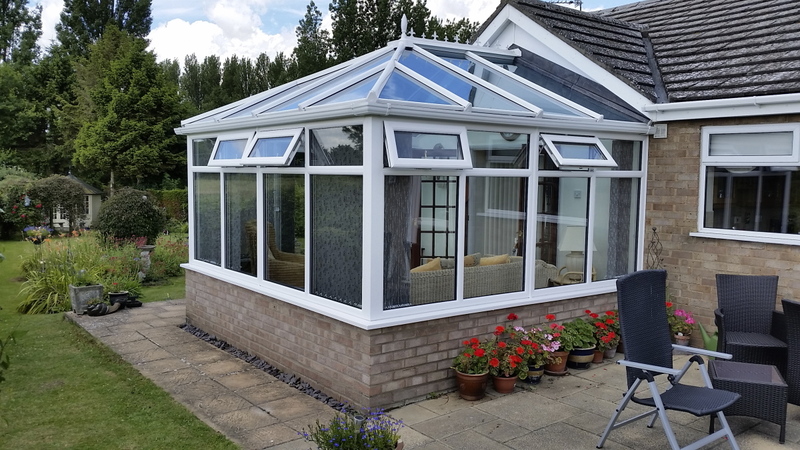 In many of our conservatories we will vary the wall heights. Very often along a boundary with your neighbour it makes sense to have a full height wall, this gives an area for shelving, tall side boards etc. The alternative being to have a low-level wall that looks straight on to a fence! Not a great view and a waste of space in our opinion. 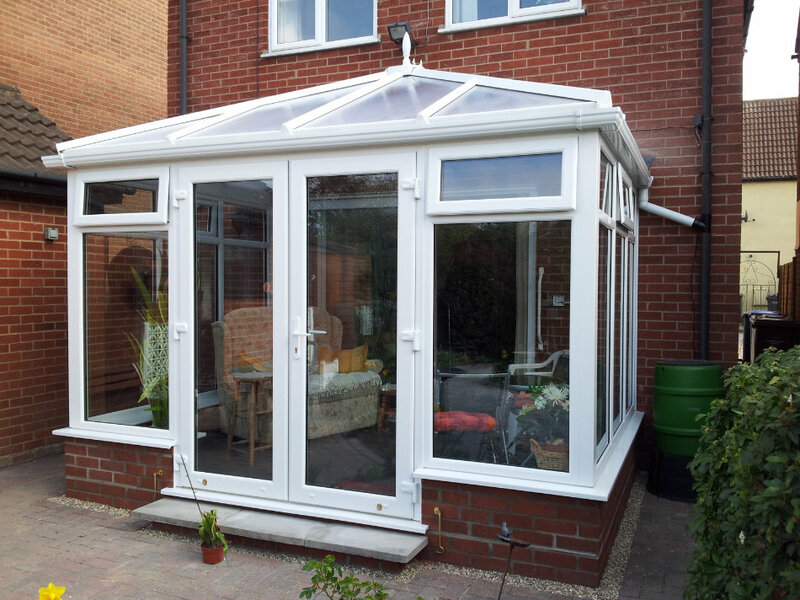 How will you heat the conservatory? There are a number of ways to heat your new room but you will need to think about the best solution. room without the need to heat the rest of the house at the same time. We find electric convector heaters to be both efficient, quick to heat and flexible. We can also provide under-floor and radiators if preferred. 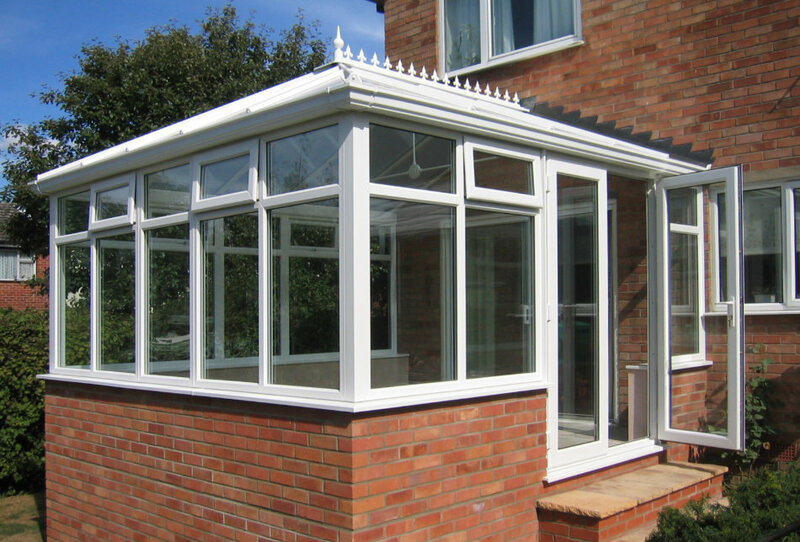 conservatories are exempt from building control, seen as a ‘temporary’ structure. This loophole means they can be constructed to any standard. 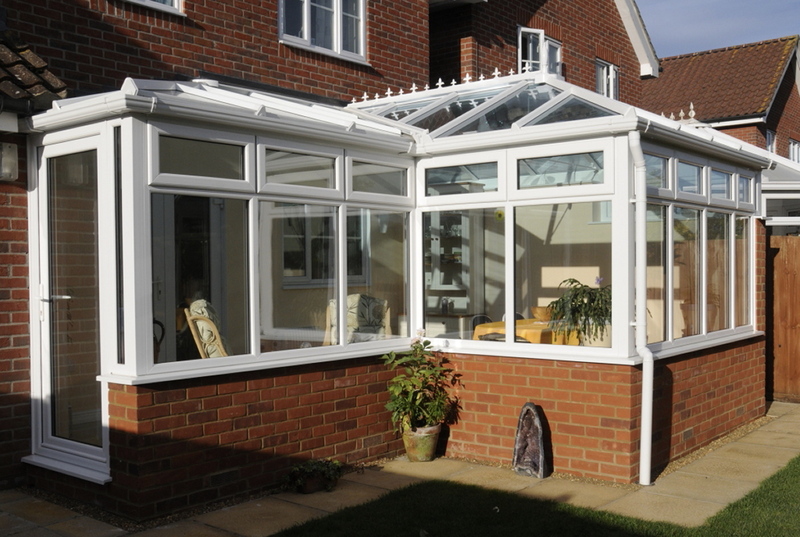 This may sound an obvious question, but how the conservatory looks on your property is very important. 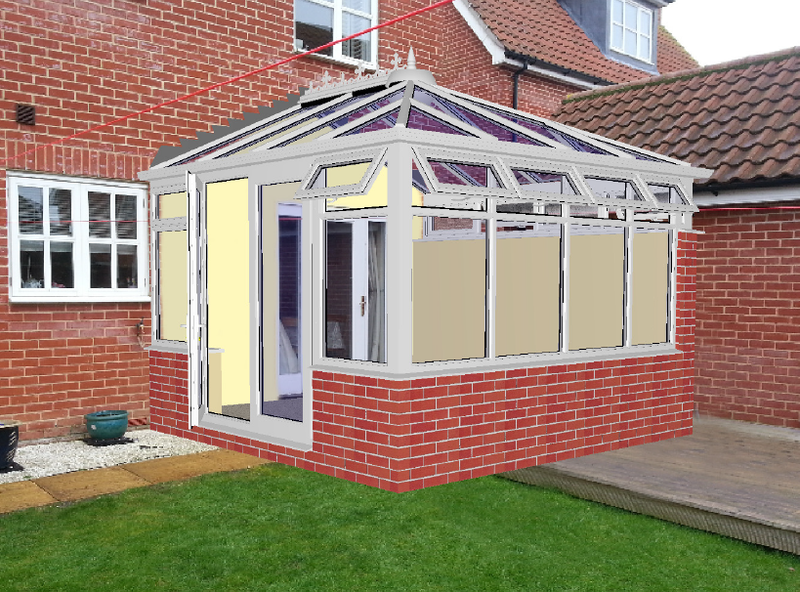 We’re able to take pictures of your property and then using our specialist CAD software we can superimpose the conservatory onto the picture so you can see how it looks before it is built. Does it require planning or building control permission? 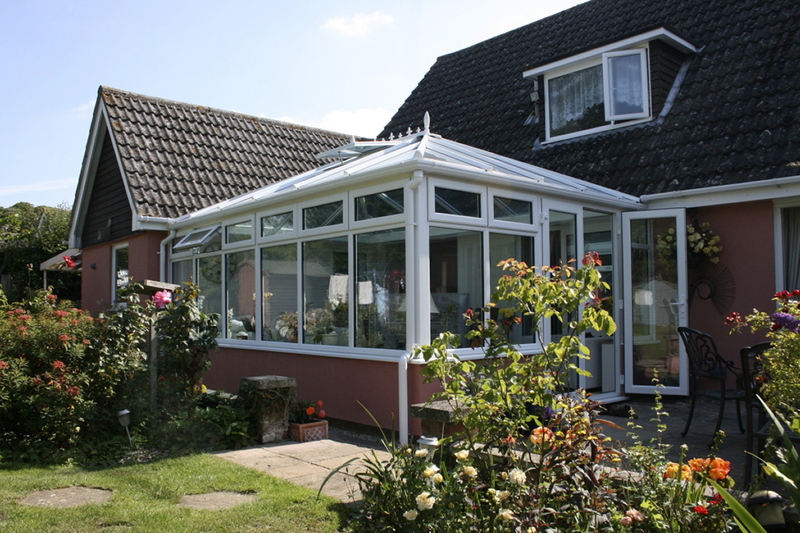 Although in many cases a conservatory does not require either, in some it will! Be very careful that you look into this before going ahead with anyone because as the homeowner you would ultimately be responsible for any breaches. 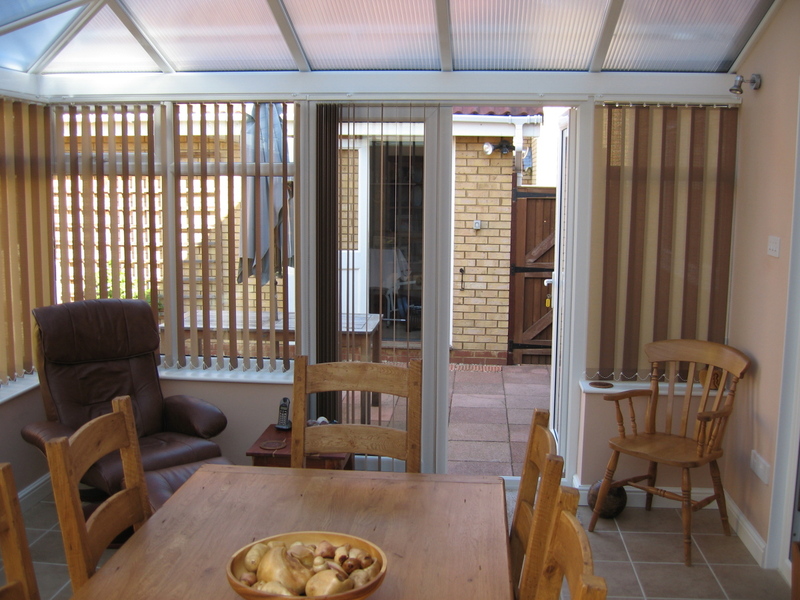 We offer a full planning and building control service to our customers. Or, if you wish to submit your own Planning Application, links provided below. West Suffolk District Planning Dept. Mid Suffolk District Council Planning Dept. Below are just a few examples of Conservatories we’ve built in the Bury St Edmunds and Stowmarket area.